If you are searching for the right lawyer, you may be wondering who to trust, where to start, and how much it will cost. You need answers, solutions, and a plan. At the Stewart Law Group in Peoria, Arizona, we understand how difficult and stressful divorce can be. Our divorce attorneys have more than 65 years of combined legal experience and a lengthy record of positive results through divorce negotiations and trial when litigation is necessary. We advocate for our clients and the relationship they desire with their children. When you need representation in your divorce, need help obtaining parenting time or legal decision-making with your children, or need assistance resolving some other important family law matter, we can help. Our effectiveness in representing clients is reflected in the respect we have earned from our clients and from our peers in Arizona’s legal community. Our founding attorney, Scott David Stewart, has been consistently rated AV Preeminent* through peer review led by Martindale-Hubbell®. This rating is the highest rating possible. 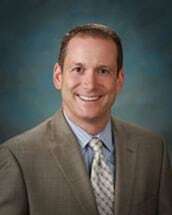 Attorney Scott David Stewart also holds an Avvo, Inc., rating of 10.0 (‘Superb’) based upon several factors including his many years of legal experience, his record of professional conduct, client reviews, and peer recognition in the legal profession. As an Arizona business, Stewart Law Group is A+ rated by the Better Business Bureau (BBB). You can place your trust in us. Scott David Stewart knows the legal and procedural requirements of Arizona divorce and family law practice inside and out. He has authored and co-authored several books and e-books about the Arizona divorce process, essentials of child custody, military divorce, and other key topics. Because knowledge is power in every divorce, all of these publications are freely available to our clients. Experienced divorce attorneys with the Stewart Law Group serve clients throughout Arizona from our office locations in Peoria, Phoenix, Scottsdale, Chandler, Glendale and Mesa. An experienced attorney with our law firm can assist you with your divorce, contested child custody matter, and other important family law case. *AV Preeminent and BV Distinguished are certification marks of Reed Elsevier Properties, Inc., used in accordance with the Martindale-Hubbell certification procedures, standards, and policies. Martindale-Hubbell is the facilitator of a peer review rating process. Ratings reflect the confidential opinions of members of the bar and the judiciary. Martindale-Hubbell ratings fall into two categories: legal ability and general ethical standards. When you choose Stewart Law Group to represent you in your divorce or other family law matter, you will be working with a team that has more than 65 years of combined experience. Once you've made the decision to end your marriage, you must prepare yourself for what lies ahead in a reasoned and thoughtful manner. We've put together a list of things that you may or may not have to consider when filing for divorce in Arizona. The attorneys at Stewart Law Group represent mothers and fathers, divorcing parents, relocating parents, and unmarried parents on the full range of legal issues relating to child custody and visitation in Arizona.